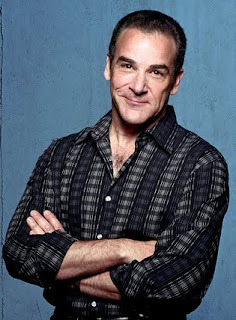 Actor/singer MANDY PATINKIN will be guest starring in an upcoming episode of the CBS medical drama THREE RIVERS. Patinkin plays an aspiring organ donor. Parinkin himself has benefitted from organ transplant. Suffering from a disease that distorts the shape of the cornea and severly impairs vision, he received corneal implants from a 13 year old girl and a 12 year old boy. Patinkin formerly starred as Jason Gideon on the CBS series, CRIMINAL MINDS. In 2007 he created a controversy when he asked to be released from his contract citing "creative diffenences." Hopefully, Mr. Patinkin will show up for work at THREE RIVERS. For all of the latest CRIMINAL MINDS/SHEMAR MOORE news, visit www.shemarmooresparadise.yuku.com/.